What might be involved in doing sociological research on an extended and multilayered social phenomenon like soccer? Why is this sport so important for the people of a number of countries in the world? How does the sport compare in its many social roles to other popular mass sports in other countries -- American football, cricket, or rugby? Are there distinctive fan dynamics at soccer games that lead to more frequent riots, racist acts, and other incidents of uncivil behavior? What is the class composition of soccer fans in Great Britain, Spain, and Turkey? How do the imperatives of advertising and mass media affect the sport? Does soccer perform an important social function in various societies? Is there a distinctive soccer mentality among fans in Madrid, London, or Milan? What are the markers of this mentality? These topics fall into several distinct angles of approach that sociologists might take to studying global soccer. What are some of the structural and ideological factors that causally influence the sport and its field? What are the experience and subjective dynamics of the populations who consume soccer, the fans? What are the internal structures and dynamics of the sport? And what social effects does the global soccer ensemble produce? 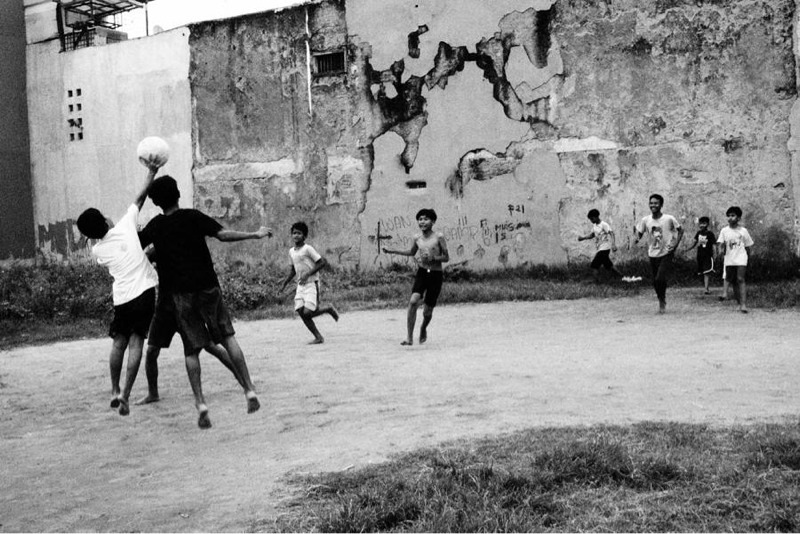 Once we have parsed the topic in this way, the question of doing a sociology of soccer looks a lot like the bodies of research that exist for many other sets of complex multilayered social phenomena -- for example, urbanization, ethnic violence, healthcare systems, higher education, or the labor union movement. This leaves ample room for a variety of research questions and methods. Qualitative, comparative, and quantitative methods all have a place in this domain; and research questions can naturally range from phenomenological to causal to institutional. It is apparent that the sociology of sport is a very small field within the broader discipline of sociology; in 2001 there were only 350 members of the North American Society for the Sociology of Sport. And, with all due respect to those sociologists who pursue topics in this area, it is not a high-prestige area of the discipline. If we were thinking of the discipline of sociology along the lines of Bourdieu's theory of the field (link), young researchers would need to have very good reasons to consider choosing a topic in this area for their dissertation work. But the point of the discussion here is to underline a key point: sociological insight can be discovered in the most mundane parts of the social world. And it would seem that the world of global soccer gives play to some of the most important themes in sociology today: race, gender, class; social mobilization; taste and culture; social networks; and many others. Bourdieu, P. (1978). Sport and social class. Social Science Information, 17(6), 819-840. Bourdieu, P. (1988). Program for a sociology of sport. Sociology of Sport Journal, 5(2), 153-161. Bourdieu, P. (1990). Programme for a sociology of sport. In In other words: Essays toward a reflexive sociology (pp. 156-167). Stanford: Stanford University Press. Bourdieu, P. (1993). How can one be a sports fan? In S. During (Ed. ), The cultural studies reader (pp. 339-356). London: Routledge. Here is a short description of the North American Society for the Sociology of Sport (NASSS) (link) on the ASA website. Some social entities are compact and well bounded -- FEMA as a federal emergency bureau, the IBM Corporation, the Southern Poverty Law Center. 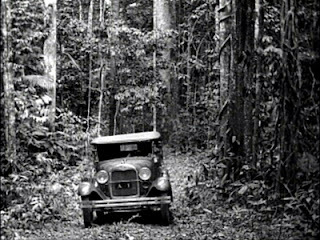 In each case we can identify the people, institutions, and powers that constitute the entity. But what about social configurations that don't have this degree of coherence? Can we nonetheless regard these sprawling and heterogeneous social configurations as "things" in the social world? Take as an example the sprawling worldwide phenomenon of competitive soccer. Soccer is an amalgam of many kinds of social things. It a sport governed by a set of internationally recognized rules. It is a set of firms (teams) which employ persons (players) to compete with each other. It is an extended network of youth leagues that engage in organized competition. 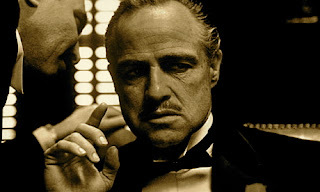 It is a complex and shifting set of images and representations in media, film, and popular culture. It is a much larger population of children and youth who play pick-up games with each other, cheer for their favorite professional teams, and wear sports gear representing various athletes and teams. So what aspects of these social realities hang together enough to constitute a social system or structure? There seem to be a number of different kinds of social reality mentioned here. (1) There are formal institutions: FIMA, the official rules of the sport, the businesses that employ and manage the players. These institutions embody a number of sets of rules of behavior within the sport and surrounding the sport. (2) Second, there is a distributed body of knowledge through a very diverse and multinational population. Various people have expert knowledge of the rules and tactics of the sport. A wider group of people have a fund of knowledge of these rules and tactics, and also a fund of knowledge about the teams and players. There are sports marketers, entrepreneurs, schedulers, trainers, and agents who support the business activities of the sport, and they too have bodies of specialized knowledge. (3) There are countless specialized individuals throughout the world who play distinctive roles and who orient their behavior to the reality of soccer as it confronts them: players, owners, coaches, physicians, officials, agents, promoters, investors, and so on. (4) There are institutions and practices through which participants learn their roles and refine their skills. These various bodies of social activity also have a number of systemic relations with each other. Children learn about soccer through television, school competition, and interactions with each other. 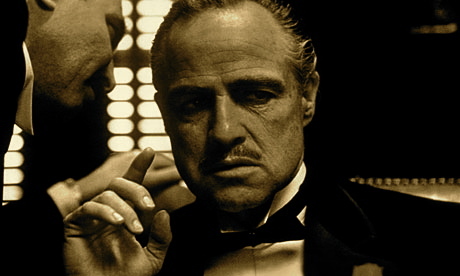 Owners influence the evolution of the rules of the game. Apparel makers promote the stars. The workings of the mass media and the schooling institutions have important effects on the knowledge system of young players and fans. The institutions governing the professional play of the game interact with the commerce of the game: broadcasters, networks, sports agents. These interactions take the form of dynamic networks of individuals with interests and resources through which they pursue their interests. These are social-causal relations that proceed through the strategic efforts of individuals with varying levels of power and influence. So what about the original question -- is soccer a social thing? I'm inclined to argue that it isn't, and that it is more reasonable to think of it as a congeries of interrelated social phenomena. The internal components are too heterogeneous and too densely interconnected to non-soccer stuff to make the whole an entity. And the soccer world is too lacking of clear boundaries from other social activities to comfortably count as a thing. This analysis seems to work for a wide range of other social nouns as well: the theatre world, cybercrime, higher education, human trafficking, and so on, more or less indefinitely. We know what we are talking about when we use these nouns. But they refer to widely heterogeneous sets of social activity, practice, and institution. It is hard to think of analogous terms in the natural sciences, but perhaps some concepts from biology come closest. Concepts like habitat, ecology, and predator-prey system seem to encompass some of the same features of complexity and open-endedness that characterize "soccer". It is not a perfect analogy, however, and the social umbrella terms ontology seem substantially more open-ended. This discussion perhaps illustrates some of the difficulties that arise in articulating a detailed account of a social ontology. An ontology is intended to tell us what exists in a particular realm. But in the case of the social world it appears that there appear to be gray areas -- nouns that we use comfortably, but that don't clearly succeed in referring to a distinctive thing or set of things. Is there anything still of interest in the political ideas of anarchism? Can anarchist thinking help contribute to solutions for the conundrums we face in light of some of the failures of electoral democracy we can see; some of the rampant abuses of corporate power that we experience; and the continuing exercise of authoritarian rule in various governments around the world? First, what is anarchism? If there is a defining thought within the anarchist tradition, it is the idea of social change effected freely by self-organizing groups of people without either states or hierarchical parties defining the agenda. Anarchism is opposed to hierarchy and organized coercion; it is in favor of free self-determination at every level. So again -- can groups of free individuals self-organize on a genuinely voluntary basis? And can they accomplish anything significant? James Scott picks up some of these issues in his most recent book, Two Cheers for Anarchism: Six Easy Pieces on Autonomy, Dignity, and Meaningful Work and Play. The book is described as a series of fragments; and indeed, much of the argument of the book is carried forward in the form of small but telling examples of social behavior that emphasizes peer-to-peer social coordination rather than institutions and regulations. For example, he goes through the example of the "Red Light Removal" movement that started in Drachten, the Netherlands, to explore the consequences of placing the burden of coordination at intersections on the drivers rather than the stoplight (80). He argues that these experiments indicate that fewer stoplights can lead to more cautious driving and lower accident rates. Picking up themes he began in Seeing Like a State: How Certain Schemes to Improve the Human Condition Have Failed, Scott spends a lot of time on the social systems of classification and measurement through which modern societies regiment the activities of their citizens. Scott's central target throughout the book is the idea of individuals "subordinated" to larger social structures and hierarchies, with the idea that "insubordination" is a valuable thing once in a while. But the argument isn't really all that persuasive. His most telling examples are instances of absurd, irrational regulation, and we are to draw the conclusion that decent, free people would decide to subvert these regulations. Yes, of course. But what about regulations of health and safety in the production of food and drugs? What about regulations on financial speculation by bankers with depositors' savings? What about regulations on the possession of army surplus anti-tank weapons? Don't we want these regulations to be observed, and don't we want an enforcement system in place that protects all of us from the spontaneous and often self-serving actions of others, no matter how free and creative they are? So Scott's picture here doesn't seem to add up to a coherent political philosophy. (Though perhaps that is as we should expect from an anarchist viewpoint. "Politics" has to do with the imposition of a coercive legal order; and the kinds of spontaneity and free expression that Scott seems to favor are antithetical to politics in this sense.) Nonetheless, it is hard to see a viable version of a large, complex society lacking laws and systems of regulation, and deriving instead from the spontaneous and free activities of individuals and small groups. How will we be confident that horse meat isn't being mixed into our burgers? How will we control unlimited dumping of toxic substances into lakes and streams? How will we remain confident that the surgeon who operates on us has actually completed medical training? So the book really represents two cheers for something different from anarchism -- more freedom, more initiative, and more self-organizing cooperation within the broader framework of a liberal democratic society. Individuality, particularity, and a bit of harmless rule-flouting should be possible within a decent liberal democratic society. And really, this is a message that we could equally find comfortably expressed in John Stuart Mill's writings. When we judge that a person has acted on the basis of character in a given situation, we are implying a judgment about his or her inner constitution, and we are judging that the action derived "authentically" from the individual's underlying traits. Character and authenticity go hand in hand. So what is "authenticity" when it comes to action? It seems to come down to this. When we talk about authenticity, we are presupposing that a person has a real, though unobservable, inner nature, and we are asserting that he/she acts authentically when actions derive from or reflect that inner nature. This is a kind of moral psychological realism: we work on the assumption that there are real inner features of personality and character that influence (portions of) the individual's behavior. There are many other kinds of judgments that we make about other people's actions that suggest the opposite of authenticity: pretense, guile, manipulation, scripted, self-flattering, role-playing, acting. What these descriptors have in common is the idea of an individual choosing a series of actions and a style of action that is intended to convey a particular impression of the actor, irrespective of the actor's "true" nature, thoughts, and intentions. There is a disjunction between semblance (based on actions) and self (based on the actor's inner subjective reality). Tartuffe's actions in Molière's comedy are inauthentic and insincere; Tartuffe skillfully shapes his behavior to evoke specific reactions from others. Politicians come to mind as we consider this list of features of action -- persons who seem always to be playing a role to cultivate positive reactions from others for the sake of electoral gain, with no evidence of authenticity. 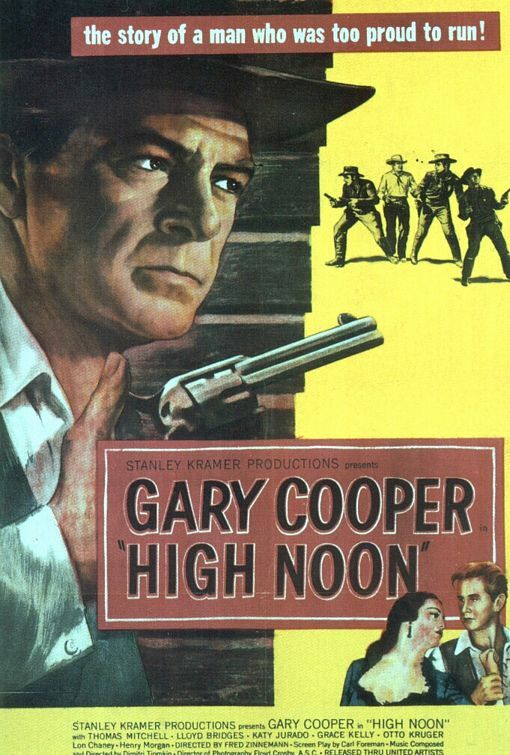 Consider the example of Will Kane in High Noon, played in 1952 by Gary Cooper. Will Kane is a small-town marshall who is placed in a position of having to decide whether to stand and fight the armed men coming to kill him, or to slip out of town with a good head start -- and leave the town to the violent depredations of the outlaws. He strives first to gain a collective defense of the town, but all the town worthies suddenly find that they have other urgent appointments. And his deputy Harvey Pell takes this moment to allow his long-standing grievances to boil over and to walk away. So it is either stand alone or flee. He stays. So how are we to understand Kane's choice? The movie's original poster gives one interpretation: "the story of a man who was too proud to run!" This isn't a particularly satisfying interpretation, though, in that it seems to trivialize his choice. Pride seems like a superficial motivation -- along the lines of "Robert was too proud to ask his boss for a loan for taxi fare when he realized he had forgotten his wallet." Pride seems to be a motivation that has to do with avoiding embarrassment rather than the loftier motivations of character and sacrifice. Here is a somewhat different line of thought: Kane has learned to become a certain kind of person -- a person who doesn't bow easily to threats, a person who cares about his neighbors and friends, a person who loathes the violent bullying of the outlaw. 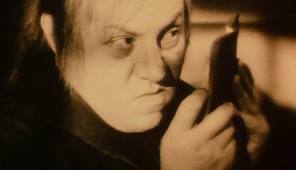 On this line of thought, Kane has grown into a certain kind of character, which leads him to act in ways that seem contrary to his self-interest. He resists intimidation; we would also expect him to resist subornment or bribery. Another possibility is that Kane possesses a deeply engrained role responsibility: it is his job as marshall to take risks to defend the town. (It's no longer his job, in fact, since he has resigned in deference to the pacifist convictions of his soon-to-be wife, Amy Fowler, before the crisis began.) But we might speculate that his sense of duty prevails over the fact of risk and the coincidence of having given up his badge; he is the only person on the scene who can or will oppose Frank Miller's gunmen. There are several entwined complexities in this short discussion. One is the fact that the examples used here are drawn from fiction; so Tartuffe and Will Kane are both played by actors representing their actions and motivations. Certainly it would be a category mistake to judge that "Gary Cooper displayed great character in High Noon"; it is the depiction rather than the performer that needs analysis here. Second, there is the realism point made above: the idea that the individual has a core set of characteristics that are "really" part of his or her makeup. Without this assumption, the idea of authenticity doesn't have traction. But this takes us in the direction of a real "self" which is the author of one's actions; and there are many reasons for thinking that this is an over-simplification of action and agency. Briefly, it is plausible that an actor's choices derive both from features of the self and the situation of action and the interplay of the actions of others. So script, response, and self all seem to come into the situation of action. Moreover, even if the realism assumption is justified, character is only one part of the "real" self. One can be inauthentic by violating the impulses of his/her character; but likewise inauthenticity can derive from a deviation between beliefs and thoughts and actions. Iago is inauthentic because he pretends loyalty to Othello, whereas he is secretly disloyal. And third, it is possible that the relation between "character" and "role" is not as contradictory as is suggested here. It may be that the role sets some of the parameters of the character and serves to reinforce one set of actions over another in particular circumstances of choice. The fact that Will Kane was regarded by others as an honorable and courageous man may be part of the explanation of the fact that he behaved in an honorable and courageous way. image: screenshot from video, "A Bird Ballet"
I've argued in several places that we need to think of the social world as being radically heterogeneous (link, link, link). There are multiple processes, things, structures, and temporalities at work, and what we perceive at a moment in time in the social world is a complex composite of these various things. The social world is not a unified system; it is not a manifestation of a unified underlying process; it is not a unity at all. These examples are themselves heterogeneous. Some are extended historical processes; others are synchronic sets of social facts; others are institutions and social environments at a time; yet others are states of social identities at a time. But the fact about heterogeneity that I want to focus on here is internal: for each social phenomenon, there are heterogeneous components and sub-processes that make it up and that generally have their own dynamics and properties. First, where is the heterogeneity in these examples? The industrial revolution is not one thing; it is rather a confluence of developments in technology, markets, habitation, ideology, labor practices, scientific institutions, natural resources, and numerous other social features that change over time. And the outcomes of "industrial revolution" are not uniform over regions, nations, sectors, or industries. Different parts of Britain had different experiences; and these experiences and outcomes are in turn different from those in Sweden or Italy. Or take Chicago in 2000. The social whole is a composite of population, institutions, political processes, demographic transitions, transportation networks, employment systems, and policing practices -- and many other factors I haven't mentioned. And if we were to ask a question along these lines -- why did Chicago come to function in 2000 in the fashion that it did? -- we would have to consider all of these processes and their composite effects, and their interactions with each other. There is no single answer to the question, "what is Chicago and how does it work?". Being Muslim at a time and place is likewise deeply heterogeneous. Individuals, families, sub-groups, and institutions differ -- from Iowa to Ontario, and within communities and across mosques. Individuals differ in ways that are both personal and institutional. So there is no single identity that is "Muslim in Toronto"; rather, there is an ensemble of people, groups, and social organizations which in the composite represent "the many identities of Muslims in Toronto." So the constitution and dynamics of social phenomena reflect diverse kinds of things and processes. So where does "science" come into this picture? Is it possible to have a scientific understanding of a heterogeneous phenomenon? Here is one possible strategy. We might hope that the sub-components of heterogeneous entities might have separable dynamics of development; so even though the city simpliciter does not have an inherent dynamic of development or functioning, its subsystems do. In this case we might say that a scientific analysis of the whole involves a separate scientific theory of the components and a synthetic effort to show how they interact. But this approach is perhaps too generous to the power of analysis; it seems to presuppose that we can disassemble a complex and heterogeneous whole into a discrete set of reasonably homogeneous components, each of which can be treated scientifically and separately. The thesis above, though, was fairly comprehensive: "all social phenomena are heterogeneous". So that seems to imply that the results of analysis lead us to a set of components that are themselves heterogeneous -- a heterogeneity regress! And this paradoxical conclusion actually seems to be true in a very practical sense: when we disaggregate "Chicago" into "political institutions," "policing institutions," "economic institutions / market system", and the like -- we again encounter social units that have internal variation and heterogeneity. Could we at least argue that analysis reduces complexity to a certain extent, and that the components are more amenable to scientific and causal theorizing than the whole? This more modest claim does seem to be defensible. Take the processes underlying "industrial revolution". It is possible to offer a reasonably rigorous study of the development of scientific knowledge and the institutions through which knowledge is created and disseminated, in ways that are less complex that the whole with which we began. Likewise, we can offer specialized study of the "making of the English working class" that includes some of the factors that influenced labor and politics during the period -- thereby making a contribution to a better understanding of the complex whole, industrial revolution. In an odd way this line of thought seems to bring us back to one of the oldest debates in the history of philosophy going back to the pre-Socratic philosophers: does "nature" have a "nature"? The atomists believed that the complexity of the observed world depended ultimately on the simple properties of the components; whereas philosophers like Heraclitus maintained that nature consisted of "flux" all the way down. 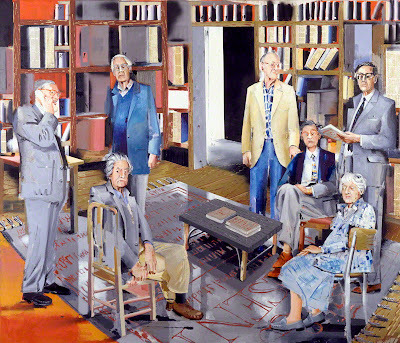 A recent article on J. H. Elliott in the New York Review of Books includes a very striking portrait of the founders of the British history journal, Past and Present. The painting includes Eric Hobsbawm, Rodney Hilton, Lawrence Stone, and Keith Thomas (standing); and Christopher Hill, J. H. Elliott, and Joan Thirst (seated). The journal has been an incredibly important platform for some of the best social history being written from its founding in 1952 through the present, and it is very striking to see these pathbreaking historians all depicted together. The journal was founded post-war by a group of historians who were Marxist and often members of the British Communist Party; but the journal itself maintained an intellectual independence from doctrine and party that allowed it to cultivate genuinely important historical research. As Hill, Hilton, and Hobsbawm put the point in the 1983 essay mentioned below, "In our dealings with Party or Group we were quite explicit in establishing that the journal was independent, and would accept no policy instructions" (5). There is one element of this piece of intellectual history that I continue to find particularly intriguing. This has to do with the relationship between intellectual honesty and political conviction. How is an historian's work (or the work of a social scientist or philosopher) affected by his or her political convictions? Intellectual honesty seems like a straightforward thing: we want scholars to pursue their findings as the facts and inferences guide them. We want them to help us understand how the world works, based on their best reading of the evidence. We don't want them to "spin" events or processes into alignment with their political ideologies or commitments. So how did this work for the historians of Past and Present and for Communist historians who were not part of the journal like E. P. Thompson? One part of the answer seems clear: these historians chose their topics for research based on their intuitions about the drivers of history, and these intuitions were certainly bound up in their political commitments and passions. So when Hobsbawm focuses on "Machine Breakers" (1952) or Soboul on "Robespierre and the Popular Movement of 1793-4" (1954) or Rodney Hilton on "Freedom and Villeinage in England" (1965) or E. P. Thompson on "The Moral Economy of the English Crowd" (1971), the topics they study have an obvious relevance to their political passions. But what about their findings? Are they able to see the aspects of their stories that are unexpected from a classical Marxist point of view? Is history "gnarly" and unpredictable for them? And are they honest in laying out the facts as they found them? Having read each of Hobsbawm, Soboul, Hilton, and Thompson with a certain degree of care over the years, my belief is that they meet this test. Certainly this is true for Thompson; the originality of his classic book, The Making of the English Working Class, is precisely to be found in the fact that it is not a cookie-cutter theory of class. Instead, Thompson goes into great detail, based on a rich variety of primary sources, about the sources of identity that working people in the eighteenth and nineteenth centuries created for themselves. These historians are not doctrinaire in their findings, and they honestly confront the historical realities that they find. Out of this list a number of themes recur: for example, underclass life, revolution, class, and economic history. These topics reflect the theoretical and political interests of the founders and the editors of the journal, and they served to encourage a substantial volume of additional research along these lines in the years that followed. Many of these essays have proven to be a classics in their genres. Two interesting articles were published in the journal in 1983 about its own history (link). 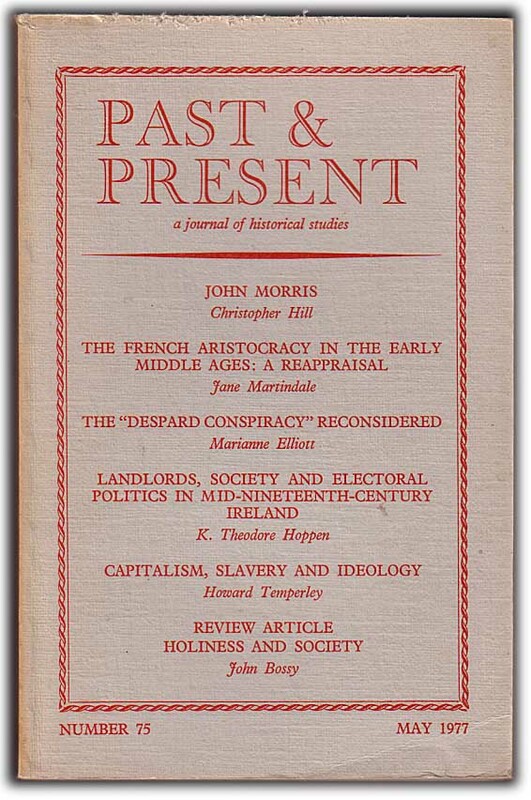 The first was by three of the founding editors of the journal, Christopher Hill, Rodney Hilton, and Eric Hobsbawm. And the other was by Jacques Le Goff, the then-editor of the equally important French history journal, Annales. These two essays offer very interesting snapshots into the role that the journal played in British history through the mid 1980s. Hill, Hilton, and Hobsbawm emphasize the intellectual independence of the journal from its inception. This independence derived from the commitment of the board of editors: "It has been the collegiality of the Board which enabled us to know each other, to formulate a consensus about the sort of history we wanted to encourage -- irrespective of ideological or other divergences within the Board -- to establish policies and perspectives for the journal, however tacitly and empirically, and to establish a flexible continuity of policy" (12). Le Goff emphasizes the importance of the intellectual impetus that Past and Present created for historians everywhere. He draws attention to the annual conferences that the Past and Present Society organized, and the importance of many of these discussions for further developments in historical research. Past and Present has been a leading forum for a particularly dynamic field of historiography in its six decades of publication. 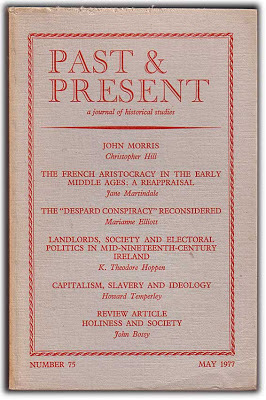 Its pages have highlighted the importance of social and economic history; the concrete history of social classes; the dynamics of revolution; the role that technology played in ordinary life in medieval and modern times; the key roles that agriculture and rural life played in early modern history; and underclass social life. These are themes that have a great deal of salience for a Marxist interpretation of history. But what is displayed in its pages, from beginning to the present, is rigorous, critical history -- not Marxist dogmas about the working class, the peasantry, or the inevitability of social revolution. The philosophy of social science is one of the smaller sub-disciplines of philosophy, and many universities have only a single course in the subject. 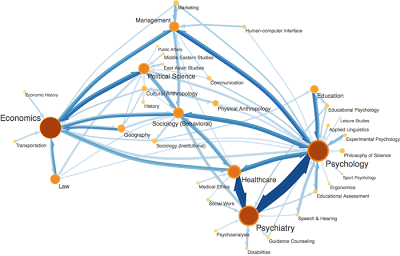 In contrast to larger fields such as ethics or epistemology, the philosophy of social science involves a much smaller part of the intellectual spectrum and audience within the field of philosophy. So how is this discipline defined by scholars who help to constitute it today? What are some of the intellectual challenges that drive the field forward? One way to proceed in trying to answer these questions is to take a quick look at the descriptions of the field offered by other philosophers in recent books and collections. There has been a lot of activity in the field in the past decade, so we have a lot to work with. They single out four major themes to characterize how the field has moved in the past two decades -- disunity, interdisciplinary, naturalism, and values. And their volume is organized around seven parts: "Values and social science," "Causal inference and explanation," "Interpretation," "Rationality and choice," "Methodological individualism," "Norms, conventions, and institutions," and "Cultural evolution." Mantzavinos's organizing topics include: "Basic problems of sociality," "Laws and explanation in the social sciences," and "How philosophy and the social sciences can enrich each other." The first has to do with social ontology; the second has to do with explanation; and the third has to do with cross-over problems that affect both social science and philosophy (cooperation; virtuous behavior; and the hermeneutic circle). Jarvie offers some interesting observations of the historical path that the discipline of the philosophy of social science has taken. He provides a perspective that is intermediate between philosophy and sociology of science; he is interested in characterizing both the intellectual influences that pushed the field and some of the institutions within which the field developed. 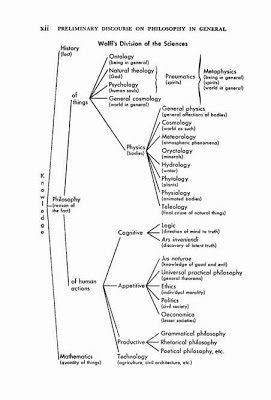 Jarvie also provides a very interesting table of topics are they are represented in anthologies in the philosophy of social science from 1953 to 2007 (Table 1.2). There is also a substantive final goal for the volume: to lay the conceptual space necessary to conceive of alternatives to the positivist framework for social science theorizing. 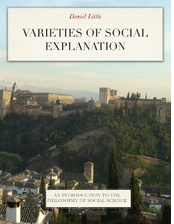 The volume provides a number of interesting perspectives by very talented sociologists on these topics, including especially contributions by Margaret Somers, William Sewell, Andrew Collier, Michael Burawoy, Sandra Harding, and Andrew Abbott. Each of them turns our attention a quarter-turn away from highly abstract conceptual research, to a nuanced effort to understand how ideas, institutions, and frameworks have played out in the social sciences in the past fifty years. It appears that there are important differences in the approaches to understanding the role of the philosophy of social science contained in these various passages. 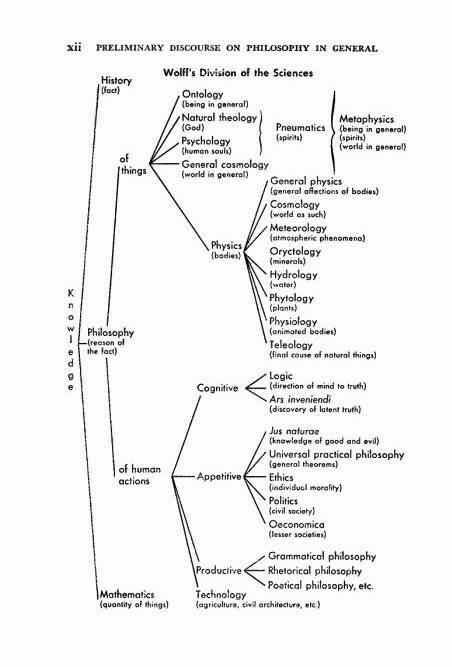 There is a fairly traditional "history of thought" approach, that attempts to document the way in which this sub-discipline took shape within the larger discipline of philosophy. There is a "sociology of ideas" approach that tries to link certain research traditions to a given set of research institutions and larger social priorities. And there is a philosophical approach that tries to work out what questions really are most pressing when we consider the challenges of the social sciences.